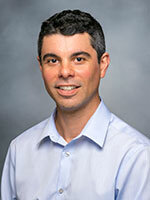 Romain S. Neugebauer, PhD, is a research scientist at the Kaiser Permanente Northern California Division of Research. His research focuses on the development, application, and dissemination of statistical methodologies to evaluate treatment effects in randomized experiments and observational studies. His particular interest is in causal methods to evaluate the effects of treatment regimens with complex longitudinal data. Prior to joining the Division of Research, Dr. Neugebauer was a researcher and lecturer in the School of Public Health at the University of California, Berkeley where he also received his PhD in biostatistics. This study aims to evaluate the practicability and practical advantages of: 1) Targeted Minimum Loss based Estimation (TMLE), and 2) a high-dimensional propensity score (hdPS) algorithm to fit dynamic Marginal Structural Models (MSM) in a longitudinal comparative effectiveness research (CER) study of adults with type 2 diabetes. This project aims to develop SAS macros to automate the data structuring required for implementation of Causal Inference methods with electronic health records data in studies with time-varying exposures, confounding and selection bias (e.g., marginal structural modeling with inverse probability weighting). SAS macros are validated with simulated data and their applicability is evaluated using secondary data analyses in cardiovascular, diabetes, and health services research. End-user feedback is used to validate and refine the implementation and documentation of the SAS software. This study aims to strengthen causal inferences based on Marginal Structural Modeling (MSM) and large healthcare databases for Comparative Effectiveness Research in Type 2 Diabetes Mellitus (T2DM), specifically, it aims to: 1) Develop a consensus for the types and quantity of MSM parameters relevant to T2DM patients and other stakeholders; 2) Evaluate the feasibility and performance of MSM approaches based on Targeted Learning to estimate these MSM parameters more efficiently and with more robustness to modeling assumptions than the current Inverse Probability Weighting approaches; 3) Explore the biases that may arise from current MSM applications with data where patient monitoring is not fixed but random or where the outcome is not right-censored but interval-censored and evaluate innovative MSM methods that aim to address these biases. Int J Biostat. 2016 May 1;12(1):131-55. Stat Med. 2014 Dec 8. Stat Med. 2014 Jun 30;33(14):2480-520. Epub 2014-02-17. ​Electron J Stat. 2007 Jan 1;1:119-154. JAMA Dermatol. 2017 Apr 05. J Occup Environ Med. 2015 Nov;57(11):1147-53. J Gen Intern Med. 2015 May 6. Stat Optim Inf Comput. 2014;2(2):93-104. Stat Med. 2012 Jun 15;31(13):1380-404. Epub 2012 Feb 23. Stat Med. 2011 Aug 30;30(19):2389-408. Epub 2011 Jul 12. Am J Epidemiol. 2010 Jun 1;171(11):1233-43. Epub 2010 May 3.